Have you lived long enoigh to remember how roller printer looked like? Now forget it, because here comes a roller printer you’ve never seen before! 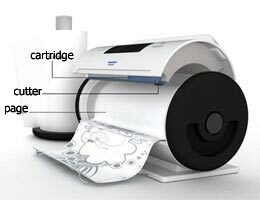 Jin Woo Han, a product designer from South Korea, realized his vision of a roller printer. 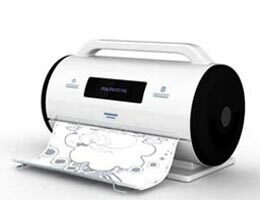 The device is capable of printing on extremely long lengths of paper, so you can make banner and panoramic pictures at home. The printer has a built-in cutter to produce regular sized (A4 and A3) pages. This entry was posted on Wednesday, July 25th, 2007 at 5:10 am	and is filed under design, printer. "Your Printer Is Spying On You"
"Survey Reveals How Often Home Printers Are Used"